The Nissan Leaf is now billed as the world's largest selling electric car today. 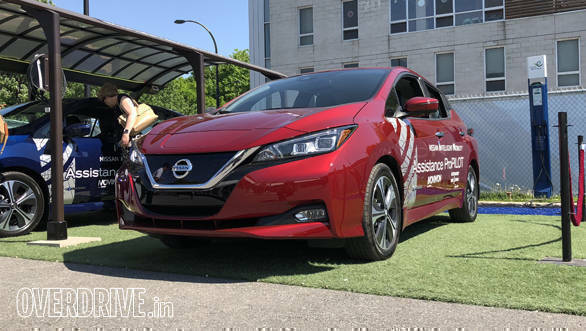 And in the Ride and Drive part of the Movin'On Conference by Michelin was the opportunity to drive the new 2018 Nissan Leaf, so we hopped in for a short drive. 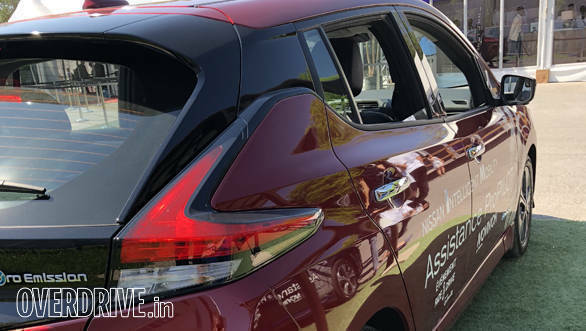 Our Leaf was equipped with the proPILOT semi-autonomous technology that we described in the detail in the launch story. The new Nissan Leaf looks fresh and new for 2018 but the real talk surrounds what's under the engine. The more powerful motor is more efficient and there's a larger battery pack too. Also debuting in the Nissan proPILOT technology suite that brings semi-autonomous driving to the table. The new powertrain makes 38 per cent more power as well as 26 per cent more torque. 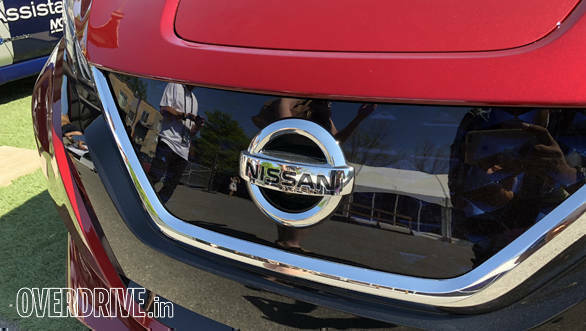 Throttle response is better too, says Nissan. The new Li-ion battery adds a small bit of weight but delivers a 400km range (by Japanese measurement standards). The batteries are not actually physically larger, points out Nissan. Optimising the cell structure has increased energy density by 67 per cent. The new performance is contained in a new chassis that Nissan says makes for a more stable car at speed. The steering response has also been improved by updating the software that controls the logic using the steering angle sensor. The design is based on the IDS concept shown at the 2016 Tokyo Motor Show and the chrome-trimmed grilled dominates the centre of the 'face.' Flowing outwards from the grille are the sleek LED headlights with FRLs. 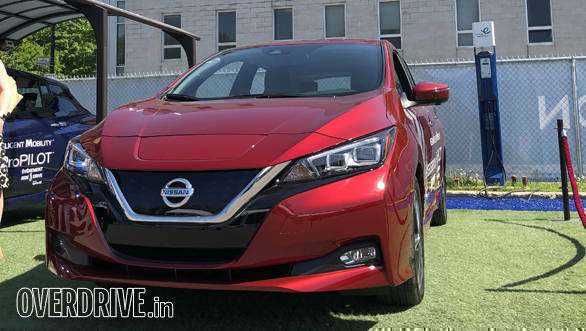 To the side, the new-gen Nissan Leaf has got a serious aerodynamic update that makes it much more appealing than the previous model. Even the coefficient of drag has been brought down to 0.28. The two-tone roof, sleek shoulder line and the diamond cut alloys are some of the new additions. Even the rear has been heavily worked upon and features an edgy design. The interior receives a redesigned driver information display. It gets a combination of an analogue speedometer and a multi-information display. On the left side, the 7-inch, full-colour, thin-film transistor (TFT) display shows a power gauge meter as the standard setting. It also features Apple Car Play as a connectivity option over the standard and also comes with navigation. 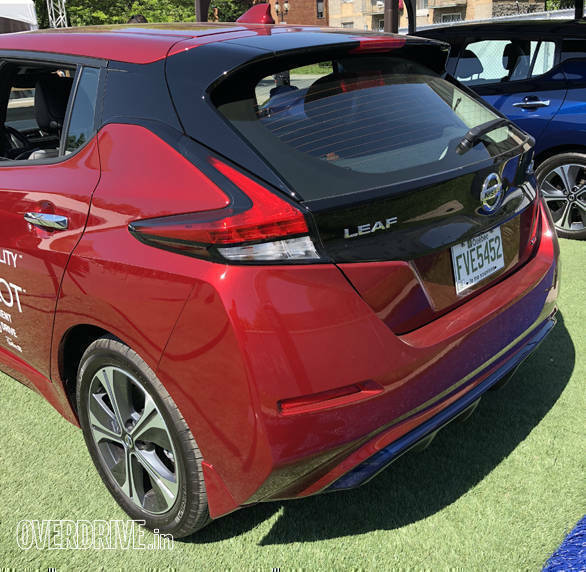 Coming to the main attraction of the 2018 Nissan Leaf. It now comes with ProPILOT, the semi-autonomous tech that intends to offer a safer driving experience. Once activated, it can automatically control the distance to the vehicle in front, using a speed preset by the driver (between about 30 km/h and 100 km/h). It can also help the driver steer and keep the vehicle centred in its lane. 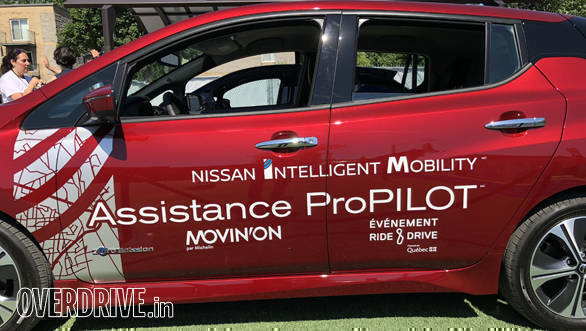 Additionally, the 2018 Nissan Leaf also comes with ProPilot park which parks the vehicle automatically by controlling the steering and the acceleration. This is done using four high-resolution cameras and information from 12 ultrasonic sensors around the car. At first, it feels completely normal, to be sure. You hit the start button and nothing happens apart from various screens and lights coming on. The shift lever is a stubby little unit with blue trim and the parking brake is recessed into its, erm, head. You drag it left and back to select drive. There is also a B mode which increases the sense of compression braking and boosts regenerative charging. 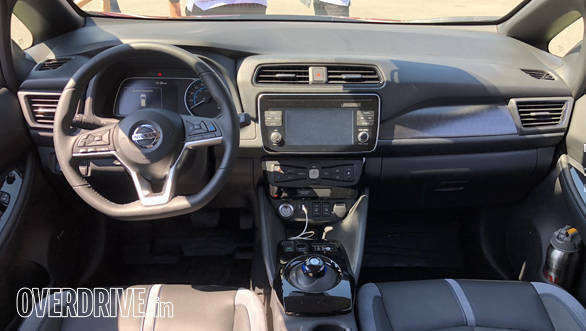 Our Nissan also had the new e-Brake which increases regenerative braking to a point where Nissan's representative told us that you should be able to almost all of the driving using the gas pedal (yes, I know that's an oxymoron) and never touching the brake. When you start off in D mode, though, all this is very far away from your thoughts. 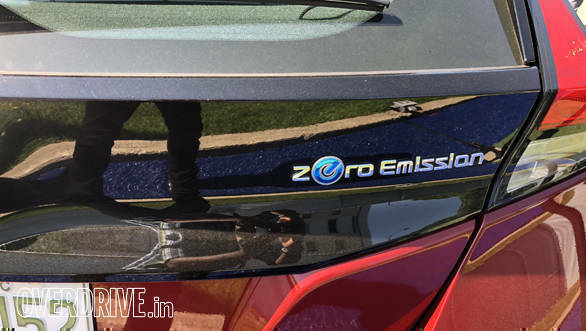 The Nissan Leaf feels like a normal, everyday car. With excellent throttle response. Depressing the throttle produces a lovely surge of acceleration and it's something you want to go back and taste a lot. Naturally, there's no sound from the car when you do this and with the windows rolled up, this is pretty much a silent operation. When I switched to B mode, though, the extra 'compression' braking was immediately obvious. Taking your foot off the accelerator produces deceleration that's notably stronger than coasting to a stop. But Nissan must get credit for how well the system is tuned - you get used to it and start using it unconsciously very, very easily. Turning the e-Brake on turns up things another notch - I moved back into D-mode to experience it in full. Now lifting off the throttle produces strong braking and I stopped way to early in Montreal traffic repeatedly while I got used to its feel and power. And of course, during the calibration, I also failed to brake when the vehicle ahead was slowing on two occasions, triggering the proPILOT into action warning me with a series of beeps. On our test drive, I wasn't allowed to rely fully on the forward collision system so I did have to brake to a halt though. The silence and the instant response of electric cars, especially in noisy and chaotic urban settings is very hard to argue against. 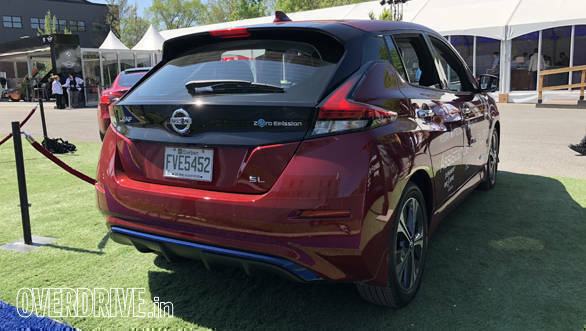 The Nissan Leaf sounds like nothing and I rather liked that. I haven't driven the old one but the new Leaf is pretty sweet to drive as a daily use car to my mind. I liked its stiff-feeling but supple-enough ride quality, the directness of the steering (though feel could improve) and the spacious and easy feel of the cabin. Nissan's few touches of transparent blue here and there remind you that you're not driving a normal car and it's a good package overall. Not hard to see why this is the world's largest selling electric car right now, really.